It’s New Year’s resolution season and changing money habits is at the top of the list of sooooo many people. Spend less, save more, pay off debt. We all want to make solid financial improvements from year to year. But so often the good intentioned goals set in January fizzle out by March. Most goals don’t stick because you’re missing the financial foundation you need to help you achieve your goals. You can’t effectively pay off your debt, if you have no idea what you’re spending. You can’t hit your long term goals as a family if you aren’t checking in on your progress regularly. To reach the big, shiny goal you have to do the consistent, gritty work. But it doesn’t have to be hard or overly complicated! Here are my top tasks to do each week, month and year to reach your financial goals in 2017. Gather and check receipts: I’m all for automated tracking apps or software programs, but it’s still important to save and check receipts for certain purchases. For example, during a trip to Target you might have gotten groceries, clothes for the kids, and toilet paper. These types of shopping trips should be split into separate tracking categories so you have an accurate idea of what you are spending in each area. Check accounts: Even if you have a really good tracking system in place that tells you how much money you have in your accounts you still need to log into your checking and credit card accounts regularly to do a balance check and monitor for any irregularities. Have a “Money date”: With most couples I work with, the daily management of the money falls to one person. That’s ok. We all have to divide and conquer. But it’s vital that you have a sit down check in once a month. Review progress towards goals, discuss larger purchases and upcoming spending. Be respectful with each other, set a time limit for the conversation and have an open mind about your partner’s concerns. Review spending: This might be a part of your money date, but you should also be thoroughly reviewing your household spending on a monthly basis. Look for patterns from month to month, or where spending is creeping up. This isn’t just about spending less, it’s also about noticing what purchases you HAVEN’T made. For example, I often get to my monthly review and realize I didn’t get my monthly brow wax or have a date night with my husband. Oops! Time to get that scheduled. Check your credit report: It’s important to monitor your credit score, but I’m even MORE concerned about making sure there is no fraud on your accounts. www.CreditKharma.com is a great place to check and monitor your credit. Set financial goals: It is important to be working towards something. The New Year is a great time to set financial goals for the year. If you follow this simple system to monitor your finances, you will be amazed at what you can achieve in a year! By committing to these tasks you will be building the solid financial foundation your family needs to hit your bigger debt and savings goals. Don’t let your New Year’s resolutions fizzle by March. Let this year be different. It’s important to monitor your progress and celebrate the wins along the way to keep you motivated to keep pushing forward. If you can be consistent in the tasks that build your financial foundation, you can achieve any goal you set out to. Nicole Cooley is a corporate drop out and momprenuer currently obsessed with sleep schedules, produce delivery and binge watching The Good Wife. Her company Money With Moxie teaches women to be powerful with money and use it as a tool to design their ideal life. She does this by exploring limiting beliefs and value alignment, while building tangible debt and savings plans. As an obsessive professional planner, I love working up a new schedule for myself every month or so. I have a busy life that is constantly in a state of flux, so every several weeks it’s necessary to evaluate what’s working and what’s not, so that I can create new routines that serve me as best possible. Today is January 3rd, 2017. We just started not only a new month but also a new year. The perfect time for a shiny, brand new schedule. Plus, my baby just turned 4 months old. We finally moved him out of our room and into the nursery with his brother. The nighttime feedings are becoming less frequent, and I’m beginning to feel as though, once again, I’m regaining control over my own schedule. We’ve been night owls these past few months. A rather drastic change for us! For years we’ve been waking up at 5am to get an early start on our work. But ever since this new baby came that just hasn’t quite been comfortable. We needed some extra sleep after the interrupted nights, and my body needed to recover from the pregnancy. So we’d flipped our schedule on its head and found a new normal. We decided to wake at 8am (or maybe even a tiny bit later some mornings! ), enjoy lazy mornings, and hustle during nap time. We’d get the kids to bed early, then settle down to work from 8pm – midnight. Yes, this was functional. The extra sleep was good for my body, I was able to really focus on my family during the day, and also fit in about six hours of work. No, it was not terribly comfortable. As a type A personality, sleeping in is more detrimental to my morale than it’s worth (at least in the long-run). And after a full day of “momming” I frequently didn’t have enough energy to tackle my work with the enthusiasm required for me to enjoy it. All that to say: I’m excited for this new schedule! I’m excited to be done “just getting by” and return to a place where I feel vibrant, alive, and growing! A routine that allows me to start each day intentionally and with focus. But enough of the rambling, let’s get to it. Here’s my new daily routine, followed by a few notes. Rising: At which time I brush my teeth and drink a glass of water. S.A.V.E.R.S. is the morning routine I practice (learned from Hal Elrod’s “The Miracle Morning”). It includes Silence (prayer), Affirmations, Visualization, Exercise, Reading (I read a chapter of the Bible), and Scribing (journaling). Work: I write and design custom websites. I keep working until the children wake up, which is any time between 8 a.m. and 9 a.m.
Daily Chore: Each day of the week I do a different chore. Click here to read about my weekly chore routine. Preschool: My toddler just turned 3 years old. He’s learning letters, numbers, colors, etc. Nap Time & Work: The baby naps, the toddler plays or occasionally watches an educational show. I work, focusing on answering emails, networking, and promoting the content & services of each of my businesses. Lunch: is late, but breakfast was as well. Errands/Shower: When it’s a shower I then spend the 2nd hour reading or playing with the kids. Tidy: 5 minutes per room is all it takes to get the house back in order after a busy day. Relax: I read, play with the children, watch Netflix, or go for a walk. Bookkeeping & Bible: I spend 5 – 10 minutes checking my bank accounts (business and personal) and recording an expenditures. We then read a chapter of the Bible aloud. Children’s Bedtime Routine: The toddler cleans up his toys, potties and brushes his teeth. Then I read him a story while I nurse the baby. Bedtime Routine: I brush my teeth, wash my face, and then read until my husband comes to bed. While I gave specific times for each element of the routine, this was mostly just for reference. We do these things each day, in this order, at roughly these times, BUT we are not sitting around watching the clock. Alarms don’t go off, compelling us towards our next activity. We keep our schedule flexible and fluid. It’s a guide that serves to provide a rhythm to our days and simplify our life. It serves us, not the other way around. How about you? What do your days look like lately? Do you enjoy having a routine that’s consistent one day to the next? Or do you thrive on variety? I was introduced to the Miracle Morning in 2014 when I heard Hal Elrod speak at the 1 Life Fully Lived conference. At the time, I had already been practicing meditation, journaling and exercising, but I was not consistent. After hearing Hal, I fully committed to waking up earlier to fit in the full Life SAVERS- silence, affirmations, visualization, exercise, reading and scribing. I was finally ready to take responsibility and change how I started my day. I started waking up at 6:30 AM, which would give me 30-60 minutes before my kids got up. However, as I started getting up earlier, so did my kids! After some trial and error, I discovered that my kids wanted their own Miracle Morning, so I started teaching them how to do the pieces of the SAVERS. He was having trouble connecting with the acronym, so we decided to change it. We started playing with the words. Since my kids were young (7 and 3), scribing was not easy for them, so we changed that to creativity. We decided to add eating a healthy breakfast to their Miracle Morning so instead of just exercise we called it health. Affirmations we kept the same as well as reading. My son was just starting to read, so many days I would read aloud to them. We combined silence and visualization into a category called meditation. One thing I really wanted to instill in my kids is compassion, so we added service to create the acronym, CHARMS- creativity, health, affirmations, reading, meditation and service. Now the kids and the grown-ups had a framework to start our days, we just had to follow it. Once the kids got over the excitement of starting something new, they went back to their more typical (although still unpredictable) wake time. I continued to get up around 6:30-6:45, which gave me enough time to get my silence and visualization in and start on the other SAVERS before my kids were up. Once they wake, they start on a creative project. In our kitchen, we have an art table set up equipped with makers, crayons, colored pencils, painting supplies, coloring books and paper. This way the kids are free to create on their own. They also have access to additional supplies in my office. We have a rule that if you make a mess you clean it up, so the kids are free to get messy as long as they are willing to clean up after themselves (usually later in the day). When I finish with my reading and journaling, we turn on some music and have a dance party in the kitchen while I make the kids breakfast (or supervise them making their own) and pack their lunches. Sometimes we will do more formal exercises during our dancing sessions- jumping jacks, push-ups, planks, squats, lunges or any other body weight exercise. We typically say our affirmations as we are exercising too. The kids both have homemade affirmation books that follow the alphabet that they recite. Our son has his memorized, but our daughter still needs help, so I will say them and she repeats.While they are eating breakfast, I will read to them or we will listen to an audiobook. After breakfast is typically when they help with service. Often this is a small task like feeding the dogs, picking up after someone else, or separating laundry. We don’t like to call these chores, but family contributions. They are acts of kindness that will help the family as a whole. Since we started practicing the Miracle Morning as a family, my kids will actively seek out opportunities to serve each other to fulfill their service for the day. My oldest will sometimes help his sister get her shoes on, read to her, or make her breakfast as his service. Our youngest feels valuable and important when I ask her to help with simple tasks that she can do and is always eager to contribute.In total their Miracle Morning takes about 30 minutes. Some mornings run more smoothly than others and we are not perfect. To me the Miracle Morning is about creating good habits and a healthy mindset for myself, and my kids, than it is about waking up early or being perfect. When things do not go as planned we also do a lot on the ride to school. The kids can meditate, listen to an audiobook and say their affirmations all in the car. We’ve also created new car games as our creativity some mornings and had breakfast on the go. I want them to be mindful of how they start their day and not beat themselves up if they don’t get it all in before they walk out the door. I also want them to understand that their parents value personal development and see us practicing what we’re telling them to do. Our kids learn so much just by watching us!I’d love to hear about your morning routine and how you’ve adapted to make it work for your family. You can reach me through my blog www.gratefulparent.com. Lindsay is the co-author of The Miracle Morning for Parents and Families. She is a blogger and the creator of GratefulParent.com. She is a homeschool mom of two amazing young people and living wife of 10 years to her husband Mike. Lindsay has a love of field hockey, travel, and family. Self-care. You may have heard that term so many times that it makes you cringe, but do you actually know what it means? Everyone has their own definition and philosophy about what self-care means to them, however, in a general sense it refers to the way in which one looks after him or herself. This can be done in a variety of ways and is truly dependent on each individual’s preferences on what makes them feel taken care of and rejuvenated. Nonetheless, there is a common misconception that a self-care routine has to be this long drawn out daily process and this couldn’t be further from the truth. The amount of time you spend on caring for yourself each day doesn’t matter because even a minute goes a long way towards investing in your own well-being. After all, we are our biggest assets aren’t we? While there aren’t many actual studies or statistics that prove the importance of self-care it’s almost a given at this point in society with all of the demands that stress our minds and bodies each day. Between work, kids, tending to the family and home there are several things happening at any one time. This is why it is crucial to carve out time to care for yourself. When creating your customized self-care routine it is important to keep in mind the types of things that make you feel recharged and refreshed. Maybe that’s exercise, or giving yourself a manicure. Perhaps it includes some quiet time with a book. Make a list of all these things and prioritize which activities are your favorite. It honestly does not matter how you spend your time as long as you’re doing things you enjoy. Once you have a list compiled it’s time to consider which 3 activities you would like to do on a daily basis with no room for excuses. Some quick and easy things I have committed to doing each day, even with an 8-month old, are taking a shower and putting makeup on, napping when my son naps and getting a Starbucks coffee. These are 3 things that make me feel ready to take on whatever life throws at me! What self-care activities can do that for you? Creating new habits takes consistent daily action and self-care is nothing more than a combination of different habits meshed into one everyday routine. Sometimes when introducing new activities into our life it can feel overwhelming. That’s why I suggest starting with 1 non-negotiable activity and sticking to that everyday for one month. Then, continue the next month by adding the 2nd activity and doing those for one month, and so on. Changing your habits slowly is a sure-fire way to stay committed. Feel like you can’t quite find the time? Get creative! Use your child’s naptime or bedtime to fit in some self-care. Take your lunch break at work for some much needed R&R. Wake up a few minutes earlier to get in some meditation or journaling. Do whatever you have to do to make this work for you. If you find that after some time you are still struggling to take care of yourself then it’s time for reevaluation. It is crucial to pick activities that you enjoy and to not base them off what you SHOULD be doing. No matter what, it’s important to view self-care as a serious pledge to yourself because it can allow you to show up fully present in all of your other activities. Self-care is not selfish! And, no matter what you have going on it’s totally possible to implement a simple routine into your day-to-day. Before you know it you will have a solid self-care routine and you will gain a confidence that nothing else other than caring for yourself can provide! If you are like me and creating your business while raising preschooler or toddler aged kids, you may be feeling the struggle to actually find the time to work on your business (I know I do!). Our days are busier and busier and our time is limited (cue a tantrum at the exact same time when you were hoping to get 20 minutes to send out an email). They key is to get the time at night when your children are snuggled up in bed to be productive. With these tips, you’ll be able to have your nights free in no time. Your kids are craving your attention…. so be mindful to fill up their attention tanks during the day so they aren’t only looking for that attention at night. I get it, you want to spend time during the day to get your work done too, so sometimes putting on Daniel Tiger seems like the best option. But, if you spend pockets of your day really connecting with your child you will find that cooperation to get your toddler to sleep at night will become easier. Quick Tip: Take 10 minutes each day and have “special time”. This is a time that your child can pick what they want to do and you will focus without interruption to really connect (hint, hint, put your phone away – your clients can wait). Keep this dedicated time as a simple play time together. Build a tower together, color together or play hide and seek (really, anything goes). Sometimes keeping your child up too late can be a disaster. You know that second-wind of hyper chaos that your child gets when you’re trying to help them wind-down? Well that’s because your child is over-tired and they get a spike of cortisol (the stress hormone) that actually prevents them from falling asleep. The key is to put your child down before they get into the hyper-zone. Focus on having your child asleep (yes actually off into dreamland) 10-12 hours before their natural morning wakeup time. Quick Tip: If your child isn’t napping and in the 3-5 range, they probably still need about 11-12 hours of total seep… so move your bedtime earlier to get the sleep they need. So give yourself plenty of time to factor into the sleep time and bedtime routine. Your bedtime routine should be seen not as a chore to get things done, but as a specially opportunity at night to really connect with your child. The faster you try and get through the routine to get on with your night, the more your child will resist (trust me, I’ve tried!). So just embrace the time by making the routine consistent and quite special for the both of you. Your Routine should include the things you have to get done “teeth brushing, pajamas, potty and water”. But you should also include components that are not only enjoyable but relaxing. For example, you can read 2 stories, but also talk about your day, give cuddles and hugs and kisses. The key is to be consistent and don’t just let your child call the shots since they may want 10 more books…and that’s when the routine gets out of hand. Quick Tip: Always end on a special night with a ritual. My daughter and I do “ugga muggas” (our version of eskimo kisses) but you could throw a kiss across the room and have your child catch it. Anything goes, just make it your own. Always think of the end game when helping your child get to sleep. Sometimes it’s easier just to sit with our child to fall asleep but trying to end sleep battles and middle of the night wakings, once you realize you have a problem, isn’t always so easy. Same goes with allowing your child to come into your bed at night. I live by the mentality that only you decide what works for you and when it works for you, great. But, when you have a limited time to work on your business at night, think of the path of least resistance. In my opinion, it would be way easier to set your child up for strong independent skills than have to fix them down the road. Quick Tip: If you already have some habits that you’re ready to break (bedtime battles, multiple night wakings or early morning wakeups), be prepared that there is a lot of conflicting advice out there…Don’t’ think you have to go it alone. Preschooler Sleep Made Easy is the proven system that I used not only for my daughter but my clients too. It really works! Once your child is sleeping, you can get back to working on your business. And that my friends, is a beautiful thing. Susie Parker is a certified Sleep Consultant and founder of Sleep Baby Love, Child Sleep Consulting. She is a “been there done that” mom of two beautiful girls who have had her deal with many sleep challenges head on. Click here to download your Free Preschooler Sleep Made Easy Checklist for future great sleep. Most of us spend a whole lot of time in the kitchen, and if you have a family to cook for, you probably spend even more! A well-organized kitchen can make a huge difference in your home, and save you lots of time when preparing meals. These three simple steps can be used to organize even the messiest of kitchens. Discover more joy in cooking, and help your whole life flow a little bit easier! This is pretty straight forward! You need to take everything out of the cupboards and drawers so you can really see what you are working with. To maintain your sanity, I’d recommend that you organize your kitchen in four phases: first, organize all the food in your cupboards, second, organize your refrigerator, third, organize all the kitchen tools, and finally, organize your dishes. So, the very first thing you’ll do is to take all of the food out of the cupboards. Unless you have a really large kitchen table (or not very much food), you’ll probably need to spread it out over your floor. Once you have everything out, it’s time to start organizing! Sort the food (or whichever category you’re working on) into separate categories. For example, you might put all the canned fruit in one pile, all of the dry goods (such as flour, rolled oats, dried beans) in another, and spices in one more. 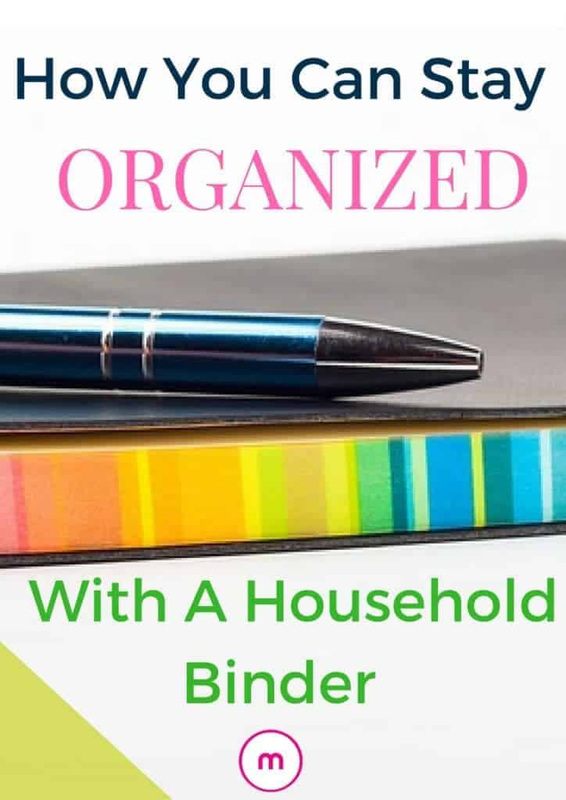 Because you’ll only be working with one main category of things at a time (dishes, or chilled food, etc), you’ll be able to organize the items into really specific categories. Once everything is sorted into specific categories, it’s time to start putting it all away. Keep each category together so that you’ll be able to find your things easily. When you’re deciding where to store a category, think about how much space it needs, where it will be the most convenient to find, and what other categories it makes sense to store it near. You’ll want to put each category of kitchen items into the smallest space that is available and makes sense: that way there’s not a whole lot of room for the things to move around and get messy, and you leave the bigger spaces for bigger categories of things. My #1 tip for simplifying your kitchen and making it feel more organized is to transfer everything into clear, matching, labeled containers. This isn’t just for your flour and sugar — you can store everything from nuts to granola bars to breakfast cereal like this. You can see exactly what’s in them, so it’s fast and easy to find what you need. They are uniform shapes that fit together well and save space. They all look the same, so everything is much more visually attractive. They help you remember what you have so things don’t go to waste. What are your greatest kitchen struggles? Do you have too much food, or too many gadgets? Are your kitchen cabinets disorganized? Is your fridge a mess? Or, on the flip side, if you have a really well organized kitchen — how do you do it? What are your best strategies for KEEPING your kitchen tidy?